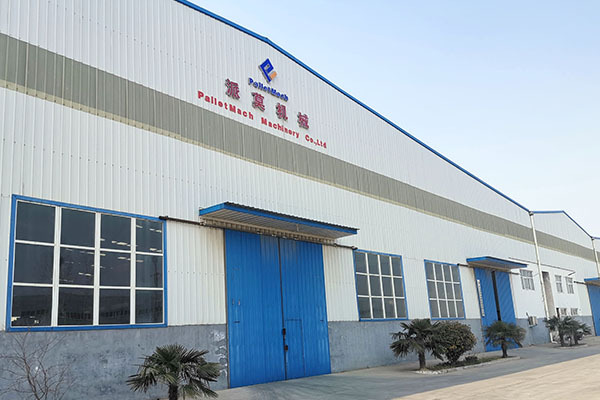 PalletMach is a top brand machine manufacturer that integrates R & D, sales, operation and service of pallet machine and pallet sharing system, which was established in September 2014. After 4 years of exploration and development, PalletMach is continuing to go forward the strategic positioning of the logistics pallet overall solutions provider. At present, we have obtained 7 patents for pallet machine and production processes, including 1 patent for invention, 1 patent for design and 5 patents for utility model. In addition, PalletMach wood pallet making machines are exported to more than 20 countries and regions, such as Poland, Russia, Brazil, Mexico, India, Tunisia, and so on, which are thought highly by our clients. Besides, PalletMach pallet pressing machine is laying the initial foundation for the developments of the international intelligentize warehousing and transportation. PalletMach molded pallet pressing machines have updated three generations to solve the first generation of system stability problems, the second generation of raw materials problems and the third generation of the average daily output problems. Currently, our Raw Materials R & D department is experimenting the pallet synthesis processes without glue. Soon after, environmentally friendly, energy-saving molded pallets will be put into production. Hence, PalletMach will provide all customers with the formulations of pallet raw material without glue. Customer satisfaction is our eternal pursuit. PalletMach has the professional pre-sale, sales and after-sales service team, and we will provide our clients with the most appropriate pallet making production lines and system solutions. What’s more, PalletMach constantly optimizes the service concept and service innovation, and communicates with new and old customers cooperating in many fields, to jointly promote the new phase of logistics industry development. PalletMach pays attention to technological innovation, optimizes the allocation of enterprise resources and enhance our independent innovation ability. And based on the export of pallet machine and with the emerging markets of industry development as the guidance, PalletMach is exploring new product chain, using the new ideas of “Internet +”, and combining with the current new economic development mode to focus on building a new sharing economy model in pallet field. We also hope that pallet as the carrier and the new mode of sharing economy lever the large market of pallet sharing system. In the next three to five years, PalletMach will continue to focus on building and improving the pallet sharing system, accelerating product iteration, optimizing user experience, and making full use of e-commerce platforms and the sharing economy. And PalletMach is striving to keep our mission “make freight easier”, making a greater contribution to the pallet field in the sharing economic market, and building the better future of logistics industry sharing recycling economic.